SMS (“short messaging service”) is a powerful marketing tool! Think about how often mobile phones are in use in your personal life, now apply that to everyone else. There is ample opportunity to extend your marketing to SMS. Similar to email marketing, SMS is an opt-in-only channel and each country has separate privacy laws around consent, opting-out and data protection. In this article we will review SMS unsubscribe and privacy guidelines in the UK and Australia. A good place to start is to look at global standards. The Mobile Marketers Association was started to provide universal standards around SMS. Obtain explicit opt-in to the mobile messaging program. Implement a simple opt-out process. 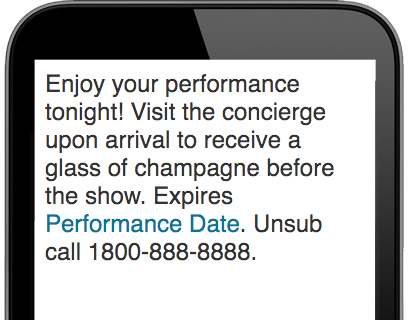 Send targeted SMS messages with relevant content that provides value to each recipient. The Information Commissioner's Office (IOC) enforces this legislation and provides all needed information to understand each one in full. Only text subscribers with opt-in consent (unless contacting previous customers). Offer an opt-out (by reply or unsubscribe link). Keep a list/record of anyone who opts out. Suppress your list against the opt-out list. Download the ICO’s direct marketing guidelines pdf to review practical application of both laws in terms of your SMS marketing. All commercial electronic messages (CEMs) must have consent to be sent to subscribers. All CEM’s are required to provide sender identification. All CEM’s must have a functional unsubscribe mechanism. *The unsubscribe: must remain functional for at least 30 days, must be sent to the organization sending the message, must be clear and conspicuous, the subscriber must be removed within 5 business days, must be at low cost or no cost to the subscriber. Download the Office of Australian Information Commissioner’s interaction between privacy act and spam act to review practical application of both laws in terms of your SMS marketing. UK + AUS Link Provide a link to your website where a subscriber can opt-out of messages or modify preferences. The link is included in the SMS message. 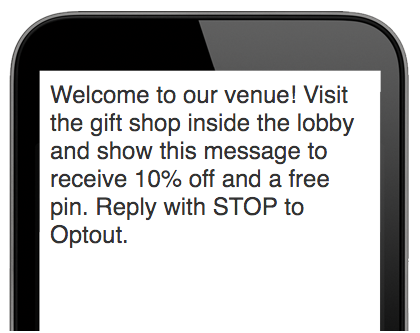 The subscriber is allowed to reply to the SMS with a phrase to opt-out. Example, 'Reply with STOP to Opt out' or 'Unsub: reply NO' .